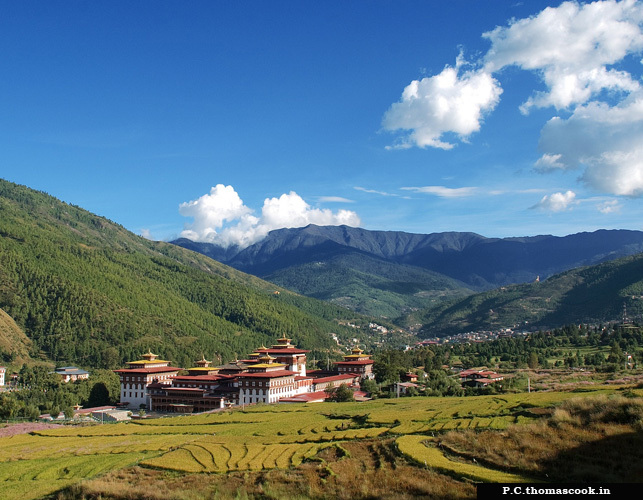 Bhutan is a heavenly paradise known for its amazing landscapes, spectacular mountain views, friendly people, peaceful environment, and the essence of spirituality. This Land of Happiness is certainly an ideal getaway for newlywed couples to enjoy, have fun and rekindle romance amidst the country`s gorgeous serenity. With some of the most beautiful places to visit, a colorful weekend market to shop, romantic hotels to stay and trekking through hills and valleys, all in all, Bhutan features a perfect destination for couples planning a honeymoon in Bhutan. 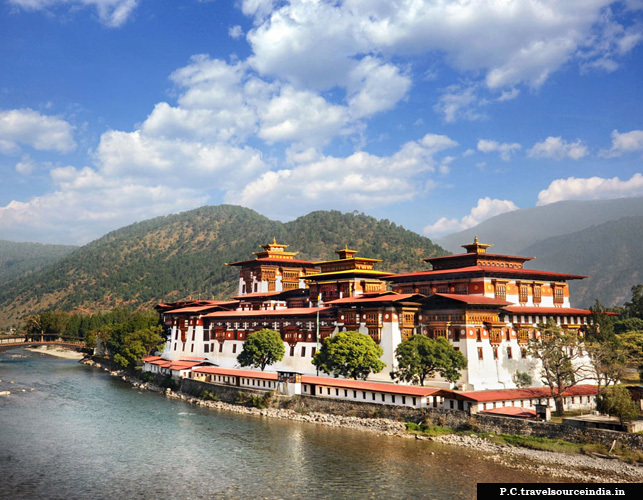 Book the best honeymoon packages to Bhutan in order to enjoy the retreat of the panoramic view of the Himalayas, snow-covered mountain peaks, dense forests, little criss-cross streams, and the breathtaking carpet of clouds. It is especially for the newlywed couples that Bhutan provides a heavenly era to start their new life with the blessings of some most incredible and religious monasteries of divine significance. The idea of trekking in a honeymoon itinerary may pick one`s brain but the query resolves when you come across a romantic anecdote of Prince William and Kate of Britain. The couple had been spotted trekking hand-in-hand up to the sacred Takstang or the Tiger Nest Monastery on their visit to Shangri La. Bhutan is in fact, a good place for couples who love mountains and trekking. The newly married couples can make a long journey through some sacred pilgrimages and valleys witnessing the tantalizing and winsome aura of surroundings. 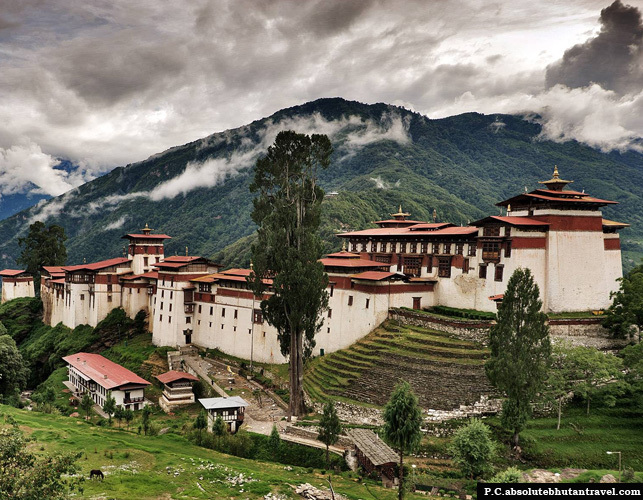 Bhutan is a fantasy destination for all the newlyweds as well as for those in relationships. It features some exotic places where a loving couple can spend some quality time and enjoy each other`s company without any interruptions. Below are few luxurious hotels and resorts that can add value to your lovelier memories. 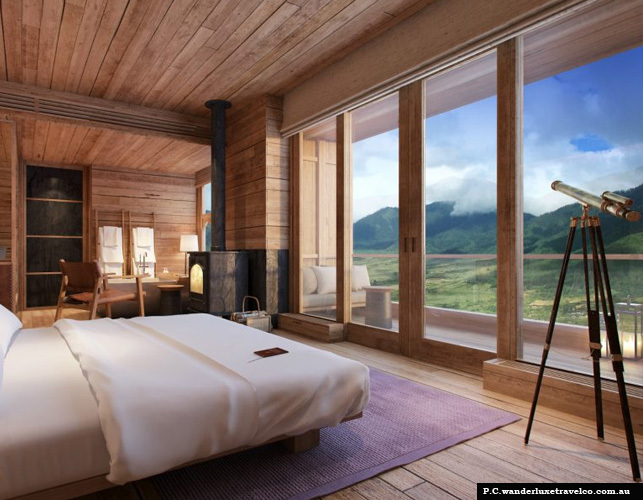 Damchen Resort in Punakha is a luxury hotel designed especially for honeymoon couples. The resort offers oval deluxe rooms having queen sized beds, courteous staff and spacious rooms along with the scenic beauty of Punakha transparent from its big glass windows. Besides, on the way to Damchen, you can also visit the famous Chimi Lhakhang also called the temple of “The Divine Madman”. It is a religious pilgrimage believed to be graceful for childless couples. It is believed that infertile women visit this temple and pray for children. Dochula Resort is a heavenly place situated on the way to Punakha where most of the tourists spend their night waiting for the morning sunrise. The resort holds pride of the Bhutanese culture which can be observed through its architecture, hospitality, and location. Terma Linca Resort is a luxury hotel located amidst the serene terrain of the illustrious Himalayas. This is a suitable option for honeymoon couples to relax and spend some quality time in a romantic era of candlelight dinners. The resort features 30 luxury rooms with the assistance of currency exchange, front desk service, 24×7 room services, restaurants and much more. Amongst various sightseeing destinations in Bhutan; Paro and Thimpu are two such places which are the most sought honeymoon destinations. Paro is an amazingly beautiful valley that fancies awesome pine forests and golden painted quaint monasteries. Thimpu, on the other hand, is a lively town which features the colorful weekend market of Chubachu comprising of quirky shops, museum, magnificent dzongs and monasteries. Best time to visit Punakha is during the festivals namely, Tshechu where large communities of monks perform various mask dance. 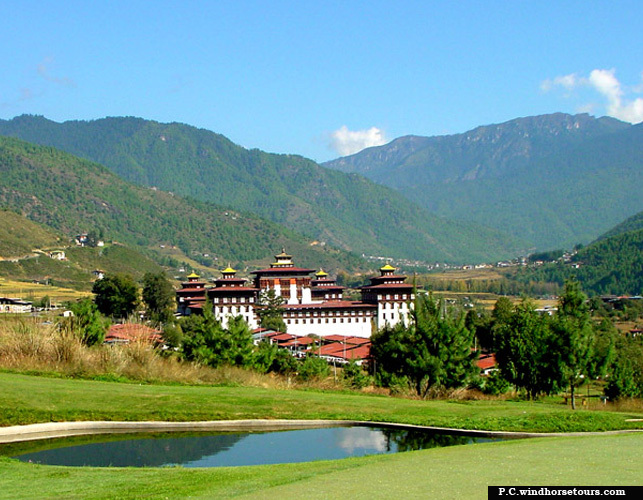 Couples can witness Punakha Tshechu in order to start a new journey of life. People attend this festival to take blessings and wash away their sins. One of the most romantic places in Bhutan is the village of Trongsa. The serenity of the new villages in Trongsa is unmatchable. Couples can lay eyes on the picturesque views of the mountain peaks along with a cheesy and spicy treat of Bhutanese “ema-datshi”. You can explore this intriguing kingdom to its fullest with the help of customized Bhutan honeymoon packages and take back the memories of best ever couple holiday. A worthwhile romantic trip is only possible with the best honeymoon packages for Bhutan.